Micrograph of a cross section through the A band of insect flight muscle at high magnification showing the orderly arrangement of actin filaments around the larger myosin filaments. 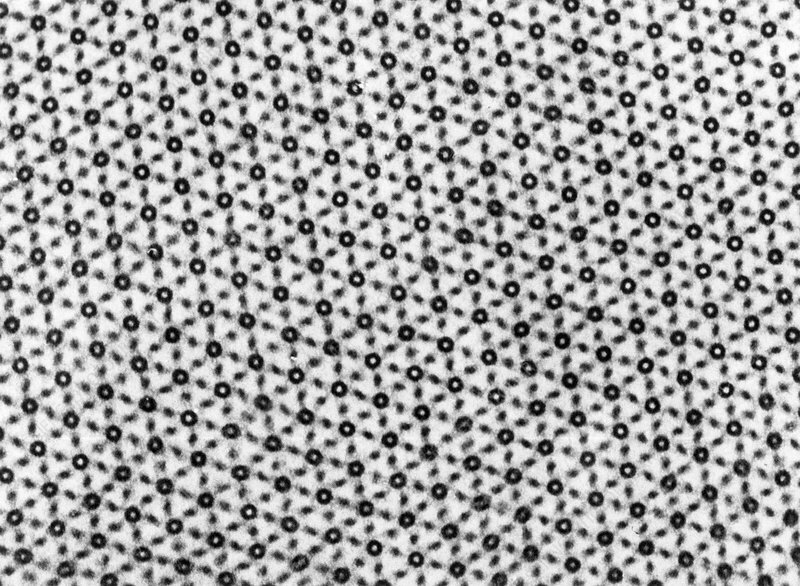 The general pattern is similar in vertebrate muscle but usually does not exhibit such a highly ordered 'crystalline' lattice. Transmission electron micrograph.